Have you heard about the Fountain of Youth? That surreal spring which can grant you eternal youth if you drank from it or bathe in its water. How we wish we could visit that spring! But, worry not, we have discovered the next best thing for youth and glamour- Cheek Fillers. I know what you are thinking, it’s the one most important question- How? Well, at younger age, our face looks plump and fuller due to the cushioning of the fat layers in the face particularly in cheek areas. But, as we grow older, these fats dissolve, making the skin loose and droopy. As a result, the cheeks look bonier and the fats shift to the lower section around the chin giving the face an elderly and sagged look along with the arrival of wrinkles, folds and creases such as crow’s feet, accordian lines and types of nasolabial folds. According to a survey conducted by Allergen on Australian women, 57% of women between the age of 20 – 49 years believe that sunken cheeks make a person look older. It is required to retain the lost cheek volume, which will in return fix the occurrence of wrinkles and folds and also tighten the loose droopy skin, thus giving us access to ever-cherishing youth and beauty. Not convinced yet? Then let me give you 7 reasons why you should rely on cheek fillers to look ageless and attractive. 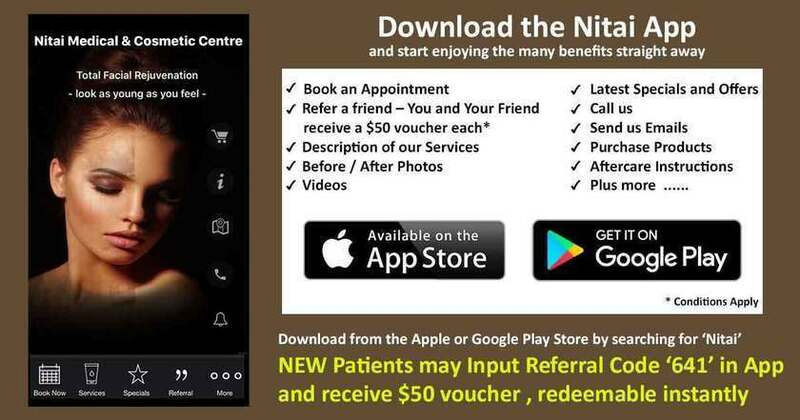 Cheek augmentation at Nitai Medical and Cosmetic Centre Melbourne is done by our highly qualified and experienced Dr Shobhna Singh, who only after carefully inspecting the facial structure proceeds with the treatment. The injectable fillers for cheek are applied at specific areas that add volume to the cheek without over-doing it, and at the same time diminishes the appearance of wrinkles and folds. This process gives a visible lift to the cheeks and tightens the facial skin, thus bestowing a much younger and charming look. The shape and volume of our cheeks represent our overall facial structure. With cheek dermal fillers, our cheekbones can be emphasized and made fuller, thus defining the facial features and making them appear more prominent and younger suppressing the general marks of aging. Cheek enhancement with dermal cheek fillers Melbourne lasts for a very long period of time, sometimes up to 2 years also depending on the type of fillers and the amount used. Treatment with cheek fillers at Nitai Clinic is very cost efficient. The price of syringes of cheek dermal fillers starts at around $750, which is very less compared to other surgical methods. Priceless beauty at such a convenient price…amazing! Isn’t it? It takes only 20 minutes to one hour to execute the whole cheek enhancement process. Since a type of anaesthetic gel is mixed with the dermal fillers, therefore, it hardly takes any extra recovery time after the procedure is completed. Non-surgical cheek enhancement with dermal fillers is an absolutely painless process to make your cheeks appear plump and supple. As I have mentioned in my previous article on Dermal Fillers, these cheek fillers also mimic the synthetic version of a naturally found substance in our skin collagen, hence chances of any sort of side-effects or allergies are very less if performed by a skilled cosmetic physician. One very good advantage of cheek fillers Melbourne is that if you are not satisfied with the cheek augmentation, you can always dissolve it. In case, a little adjustment is required, then also that can be done efficiently without any discomfort or worry. An anti-aging treatment which is painless, cost-efficient and long lasting…what better way can there be to look ageless? Pick cheek dermal fillers; pick ageless beauty! !